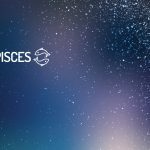 Here, you can find out more about the weekly Horoscope for Pisces, from  April 22nd to April 28th. Every week, WeMystic will bring you the forecast for Love and Relationships, Health and Money & Career. You will know when the right person appears. Singles: are you having a hard time getting out of the pit? As usual, you swam too far and are now looking for a lifeboat. The help comes sometimes in unusual forms, Pisces, so do not turn down help until you know what the real motivations of the person are. Your suspicions can be confirmed over the weekend but be careful who you trust in the future. When you find the right person, you will know it. Engaged: the waters are murky to begin the week, so you’re not so enthusiastic when it comes to plunging into emotional issues. Wait until things sort out before you think of possible solutions. If you and your partner cannot decide on a problem over the weekend, you may need a third neutral individual to participate and help. Make sure you listen to both sides of the story before anything else. Focus on developing practical solutions. You’re excited to start a new creative project. This will happen, and your mind will be stimulated in all sorts of interesting directions. This will also affect children, romantic partners, family members and fun. Spending your money in these areas confirms your place in their lives and rewards all your hard work. Expect some complications and potential mechanical malfunctions now. Delay important meetings until later, if possible. You can be called to handle fewer employees or other resources. Focus on developing practical solutions. It is better to choose what you are familiar with. You are slowly building something for a better future. Finish everything you can in a timely manner. It’s a good idea to increase your strength right now. Whatever you normally do for physical exercise, focus on strengthening your strength. If you run, try to increase the strength in the upper body to take some of the weight off the hips. If you usually do yoga, replace weight lifting once a week to increase your ability to maintain a posture in future classes. If you favor one side of your body, strengthen the weaker side this week. Any doubts or concerns that you have found difficult to resolve can affect your health. You will have more peace of mind if you take decisive action. This will influence your health in a positive way. Above all, you need a way to manage stress.